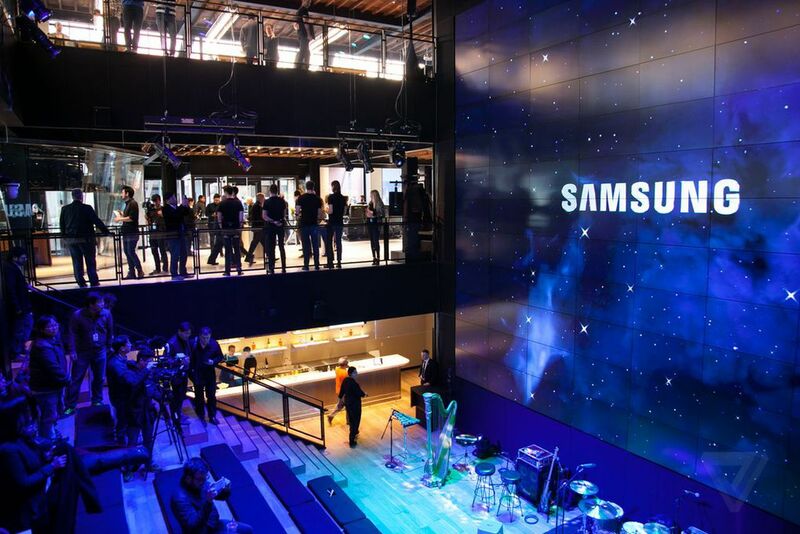 After throwing open its doors to hordes of curious enthusiasts in 2016, it didn’t take long for Samsung 837 in New York’s Meatpacking District to attract the accolades. Four months after opening, Forbes labelled it one of the world’s top three brand experiences. The groundbreaking flagship experiential store also snared design:retail’s top honor for store design of the year. But for one of the team members behind it all, the real victory was caught on a smartphone camera shortly after opening. Observing 837’s very first visitor from a distance, Michael Koch was taken by the obvious enjoyment and wonder plastered across the lone wanderer’s face. Sneakily snaring a shot of the enthralled shopper, the image is validation of everything Koch and his team set out to do. “We wanted each person to have a new experience. An experience they can associate with, relate to, and feel part of,” he said. 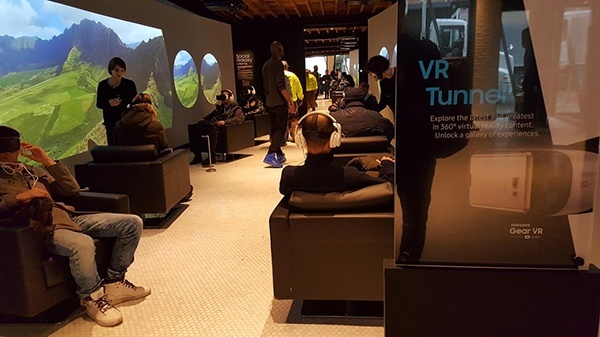 Speaking at length on the experiential undertaking at RetailSpaces, Samsung America’s Senior Director of Store Development said the 837 concept proved successful because it dared to achieve what had rarely been attempted before. Koch believes that only with this kind of convention-defying thinking will the industry thrive in the transformative times to come. “In the blink of an eye, we’ve shifted, we’ve changed. It’s a completely different retail environment than it was five years ago,” he said. While Koch took obvious pride in outlining his team’s achievements, he provided no illusions that this brand of innovation is easy. When the original blueprints for 837 were offered up at Samsung’s Korean headquarters more than three years ago, it featured many of the selling points it has since become well known for — multiple hands-on product zones, interactive art, virtual reality and Gear 360 displays, comfortable lounge areas as well as a recording studio capable of live streaming performances. All of this is centered around a monumental three-storey display comprised of 96 55-inch screens. However, the design was missing one crucial aspect. Apart from a cafe on the top floor, visitors would have no other opportunities to make a purchase, even if they wanted to. The project’s naysayers could barely be blamed for their lack of faith. “We wanted to create a 56,000 square foot ‘Un-Store’ in New York. $43 million and the only thing you can buy in it is a coffee. You can’t buy anything in it. I don’t want you to buy anything in it. I want people to learn about our products in a hassle-free environment,” Koch said. As “crazy” as the idea seemed, the vision Koch and his team had for 837 was well steeped in reason. To Koch, retail’s biggest failing has been its inability to turn with the tides of technological change. “People have changed how they converse with each other and how they interact,” Koch said. In contrast, Koch argues that the nature of physical retail has remained the same. For instance, in most prevailing concepts, the role of the salesperson is still an integral cornerstone of the in-store experience. This is despite 77 percent of shoppers now turning to their personal device for product information while strolling the aisle. VR tunnel is part of Samsung 837 non-store experience. “Two bits of feedback from millennial shoppers stood out to me: ‘Online is for research and purchase’ and ‘in-store is for validation and experience.’ We’re hearing that over and over and over again,” he said. Given the maniacal rate at which technology has improved in the last decade alone, the mass migration of retailers to experiential brick and mortar comes as no surprise to Koch. He believes where their “Un-Store” succeeds the most is in its ability to find the familiarity that shoppers feel in all aspects of their tech-heavy, everyday existence. “Technology is moving fast in all facets of our lives. We can’t limit our thinking to retail any longer. It’s not just about how we shop or what we shop for anymore. It’s immersed in how we live, in how we work and how we play,” Koch said. As well as using experience to leverage brand popularity, companies are also using the opportunity to gather valuable info on their customers’ in-store habits. A recent PSFK report revealed 68% of brands surveyed have begun investing heavily in data collection and tracking. “837 is like a data warehouse. We look at everything that goes on in there.” Koch admitted. “When you look at these (younger) individuals, they are uniquely different in how they look at retail and how they look at shopping,” he said. Judging by current advancements, further normalization of the once impossible is well and truly underway. Improved RFID innovation, BOPIS (buy-online-pick-up-in-store) options and the growing popularity of showrooms are reshaping the retail environment. More recently, AI and IoT (Internet of Things) ecosystems combined with mobile devices are now allowing retailers to transform the shopping experience into one that could eventually do away with human interaction entirely. Given what’s to come, Koch’s biggest words of advice are to think as big as possible. 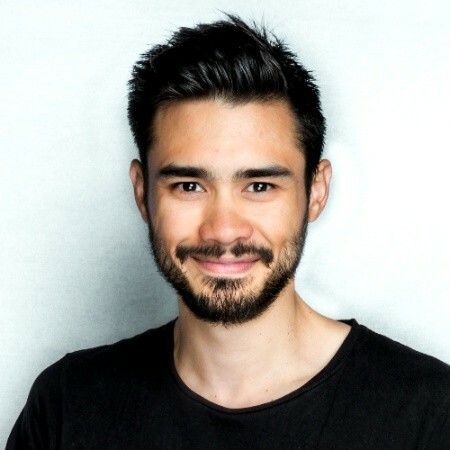 “I would caution designers to think further ahead with technology than where they are today. Because if you aren’t doing that, you are behind the 8-ball,” Koch warned. He used his own store as an example. Despite being just shy of two years old, Samsung 837 is already undergoing its second remodel. 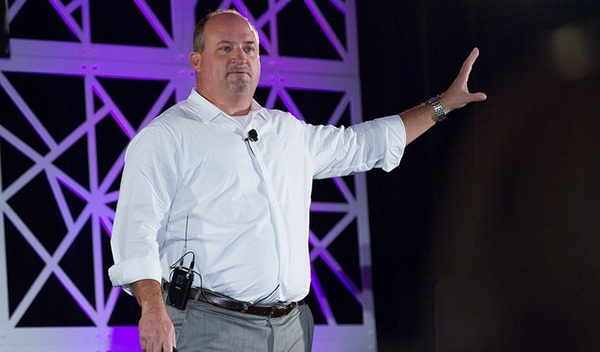 Koch even admitted the obsolescence of category 5e cabling and breakthroughs in mobile networking render current redesign efforts outdated before they even begin. While such advancements make it frustratingly difficult to future-proof, in the long run, they’ll lay the groundwork for an explosion in design innovation. “There’s a shift to more of a cloud environment. The advent of 5G being tested by Nokia is off the chart. Bandwidth is 40 times faster than what it is today. 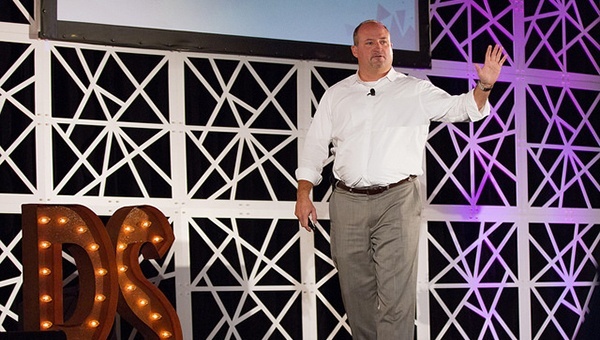 It’s amazing what’s going to happen with retail buildings in the next 2 to 3 years,” Koch said. It’s no surprise the electronics giant is already preparing for what such developments will bring. 837 is proof enough of Samsung’s intent to help define a new age of consumerism as it feels its way blindly, along with the rest of retail, into the future. And the company’s experiential strategy seems to be working thus far. Holding close to 150 music, culinary and fashion events in a year and attracting over 500,000 impressions within 10 months, the store’s success suggests something, at least, is resonating. 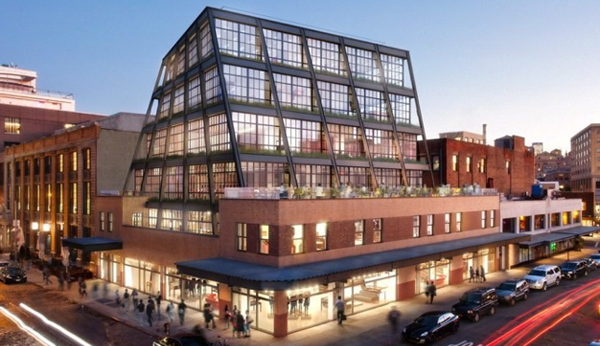 Samsung 837 is located at the heart of New York’s Meatpacking District. However, Koch warned despite the recent widespread shift toward experience, simply joining the bandwagon won’t cut it, with a reminder that things will only continue to change. “I ask people in our industry to dream of the impossible, then make it possible. To create things that people have never seen before. And to inspire your teams to achieve things they never thought capable of doing,” Koch said. This bold willingness to experiment freely beneath a cloud of potential failure is the price of admission for those retailers who hope to survive the disruptive years to come.